"The way leads along for several hundred feet though young deciduous woods until a junction is reached. The trail which goes uphill is Maria’s Walk leading to Thorndale Entrance." That quote, from 1961, by RBG's Conservationist W.J. Lamoureux is part of a larger description of the trails in the Royal Botanical Gardens' Coldspring Valley Nature Sanctuary, now McMaster Parking lots M, N, O, and P.
The photo above is from the vantage point at the bottom of Maria's Walk, as described by Lamoureux , but we can see that 50 years later, while the trail is largely intact, the use and meaning of the area has changed drastically. 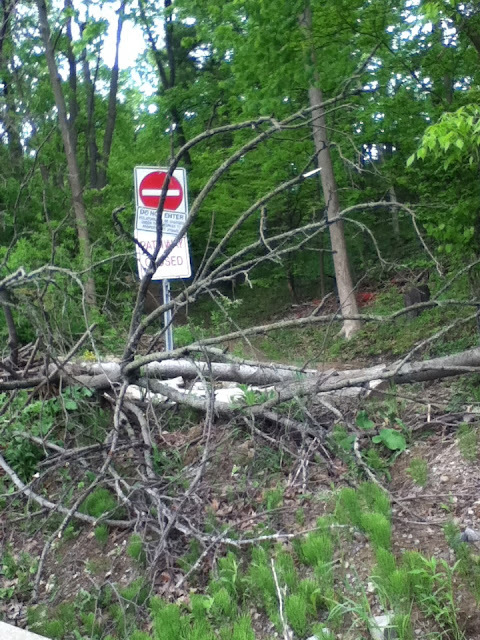 Rather than a very nice forest trail, McMaster treats the path as a liability and goes to great lengths to block and hide its existence. People still use it, but obviously in contravention of the University's wishes. 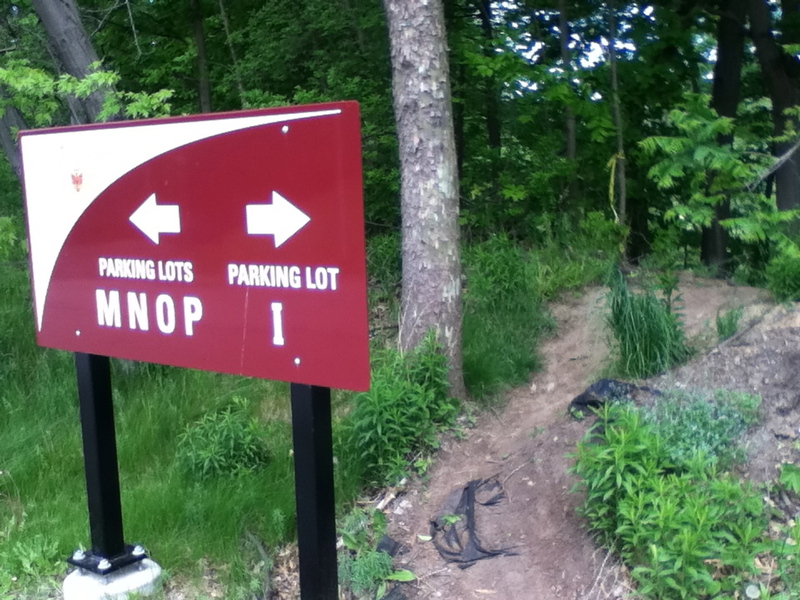 That's what happens when you pave a nature sanctuary for parking: remnants of the forest are actively marginalized and steps are taken to ensure they are avoided in favour of routing people along (inaccessible) sidewalks or onto the diesel bus that ferries parkers to the main campus. Maria's Walk, the last of the original RBG trails in Coldspring Valley is largely intact, yet blocked, hidden and warned against by McMaster in a world where parking, not perambulatory pursuits, is the new priority. We hope that recent signs of life from the new campus administration will herald the start of a rebirth for the campus natural spaces lost to parking.